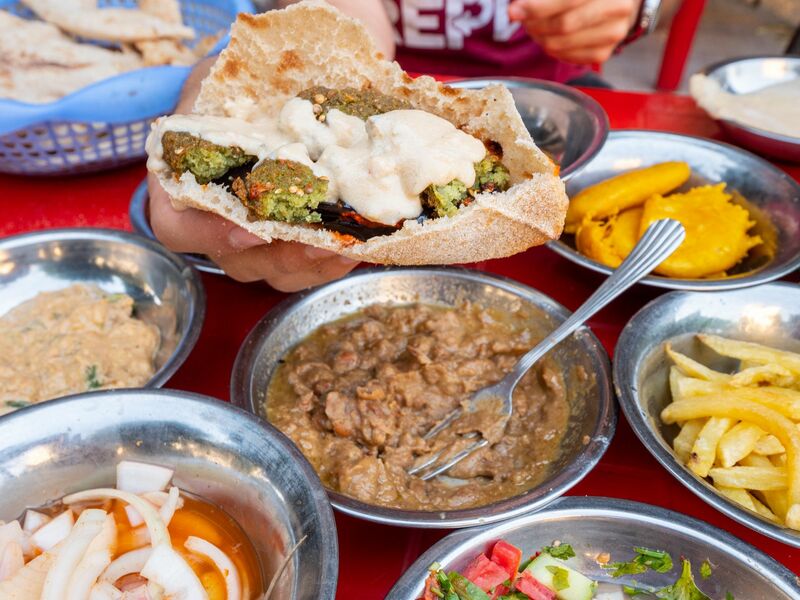 If you're wondering what do Egyptians eat and what to eat in Egypt, this food guide will help you discover the best restaurants in Cairo along with some amazingly delicious Cairo street food! 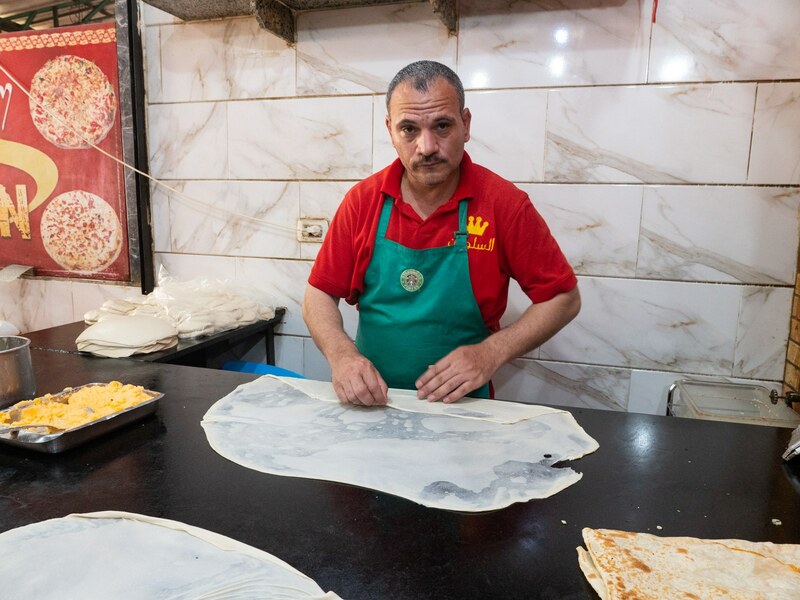 We flew in specifically to eat traditional Egyptian cuisine, and in a few days tried some very delicious Egyptian snacks and popular Egyptian foods! 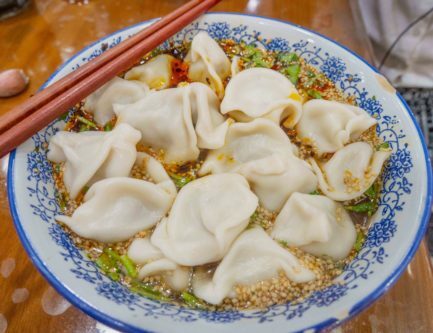 This was my favourite street food from our whole trip! 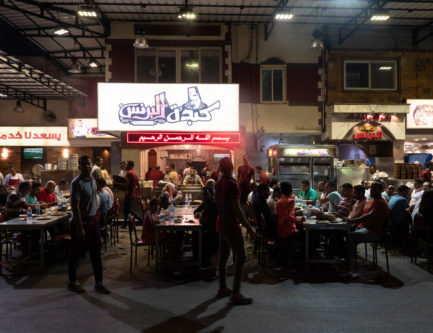 Foul AKA Fuul Medames or Ful is the most healthy and delicious Egyptian food that we found in Cairo. Found on literally on every street corner and Egyptian restaurant in Cairo, you can’t go wrong with a healthy bowl of Fuul Medames to start your day. It is packed with protein and energy that will keep you going and fill you up. Ful medames is one of the best foods of Egypt in my opinion even though it is so simple. 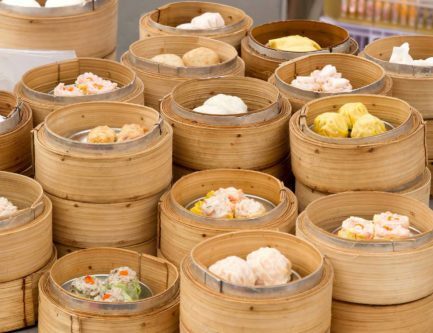 We tried it at a few different restaurants and street stalls and found it prepared a few different ways. Some places like to prepare it with a pickled lemon sauce which gives it a sour, citrusy kick, and other like to serve it plain with a side of salt for you to add yourself. After eating in Egypt and exploring for Ful Medames for a couple weeks, we found the best place below. Two important dishes to order are the foul medames and the felafel. 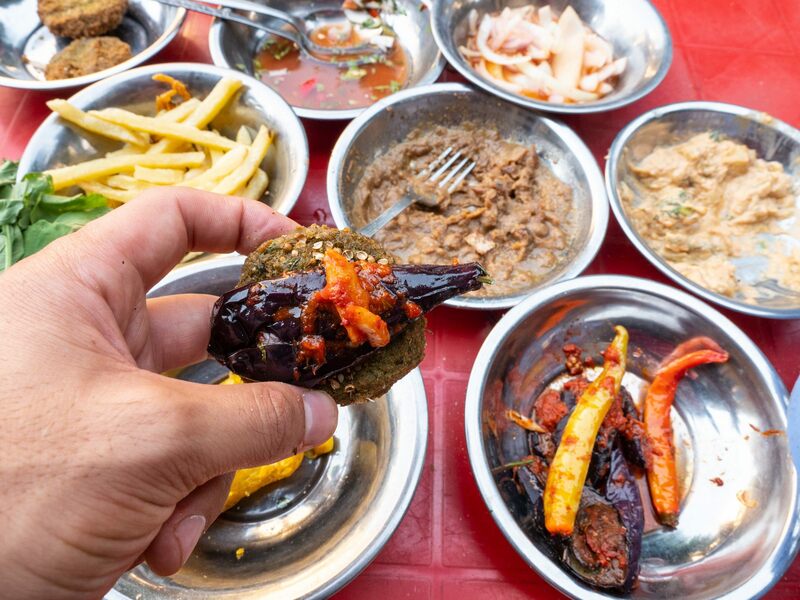 These two dishes will be supplemented with an entire tray of side dishes, like pickled vegetables, green salad, fried eggplant and green peppers, onions in vinegar, baladi bread, tehina, salt, and chili. And you can grab all of these beautiful ingredients and make a delicious sandwich, or, mix and match them up! 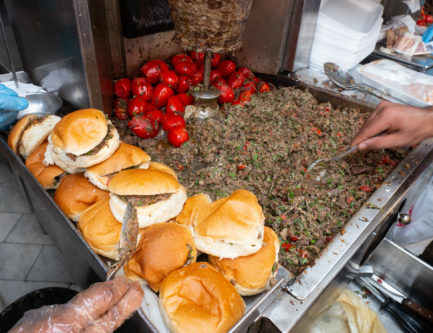 Must Order: Foul and Felafel - everything else will be served to you. Address: No proper address. On the side street next to the Sayeda Zeinab mosque. Keep the mosque on your right and walk down the side street and you will find it. Hours: Open all day and until late at night. If it's too hot out during the day, come late at night for a midnight feast! 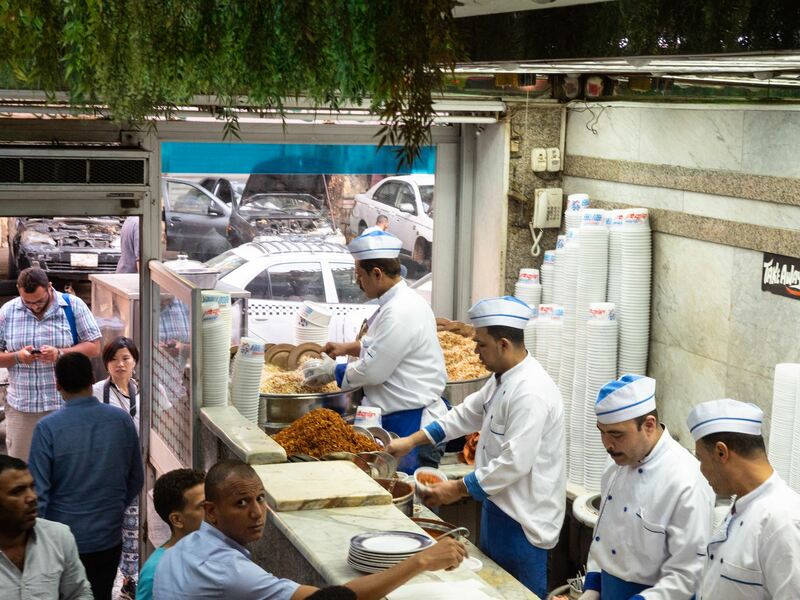 In Egypt, Felafel is made with fava beans instead of chickpeas as it is in neighbouring countries. To me, it almost tastes like fried chicken, but better! 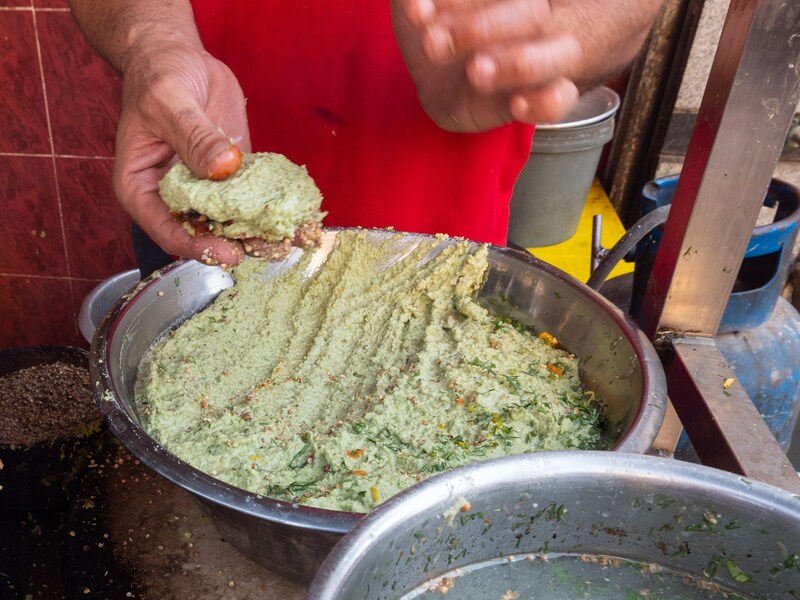 In Cairo, you can find felafel at nearly all stalls and restaurants and watch as the mixture is pressed into patties, covered in coriander seeds, spices, and sesame, then put deep into the oil and fried until crispy. We found the felafel at the same place as the Foul. 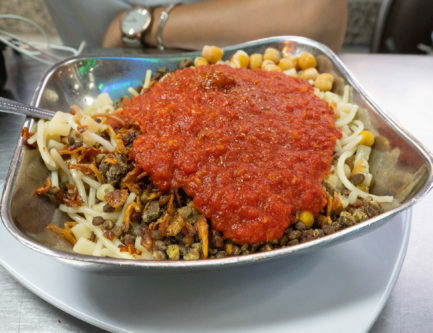 Koshary is the ultimate food to eat in Cairo. 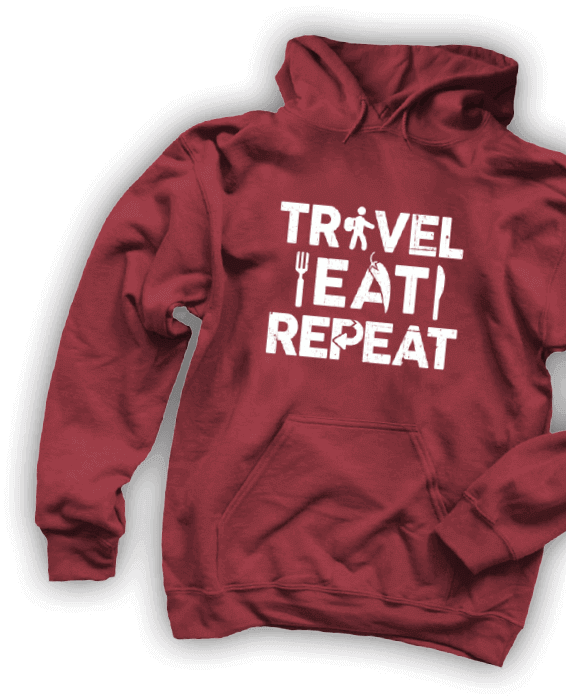 When we visited, we ate it nearly every day! It fills you with energy and can be found all over the city. Be careful though, it’s super heavy and full of carbs. I think I gained a little weight from eating it every day in Egypt! At Koshary Abou Tarek, it’s made with pasta and lentils and rice, topped with tomato sauce, chickpeas, and fried onions. There is lemon vinegar and chili sauce you can add on as well! 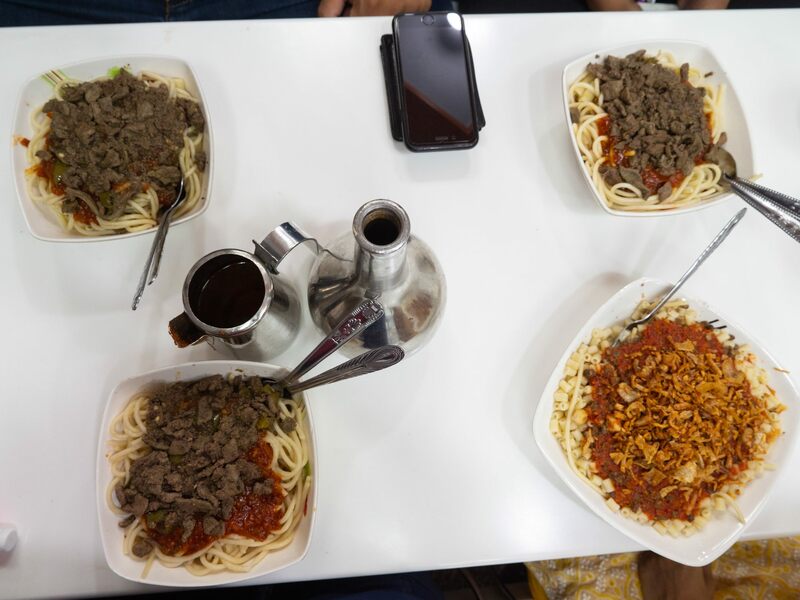 We found two incredible Koshary joints in Cairo, each serving up different versions of the same delicious classic. 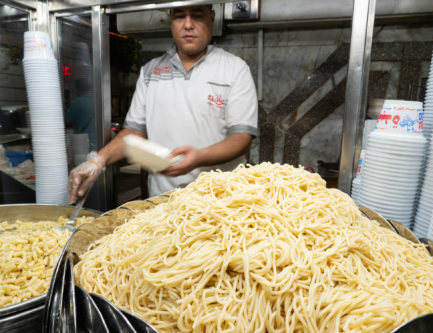 The first, Koshary Abou Tarek, is the longtime most famous Koshary restaurant in Cairo. The next, Baba Abdou,serves up a version more like pasta, except it’s served with liver, sausage, as well and tons of fried onions. I think I enjoyed this one even more than Koshary Abou Tarek! Comments: You can order either small, medium, or large. Obviously, go for the large. Comments: If you're not a fan of liver, get it with pasta sauce, fried onions, and sausage. Pour your lemon vinegar and chili sauce all over it and you'll be in heaven!! Since this was my first time traveling to Egypt, I was super excited to try the Egyptian version of shawarma. 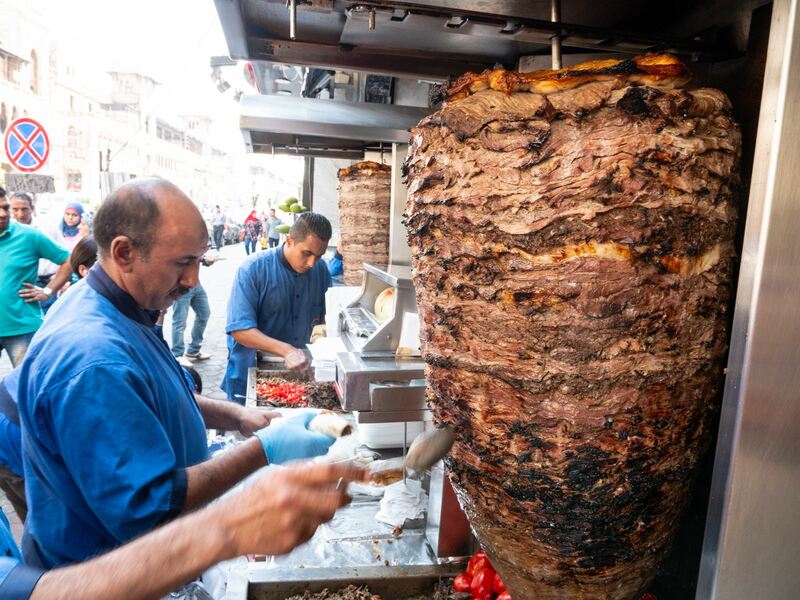 All throughout the back streets of Cairo, you can find shawarma joints with mountains of delicious rotating beef, layered with fat and juices bursting out. There’s more though, here in Cairo, the shawarma is sliced and mixed with tomatoes, onions, spices, and another secret fatty like sauce. Then, it’s piled onto a bun or wrapped up and served. 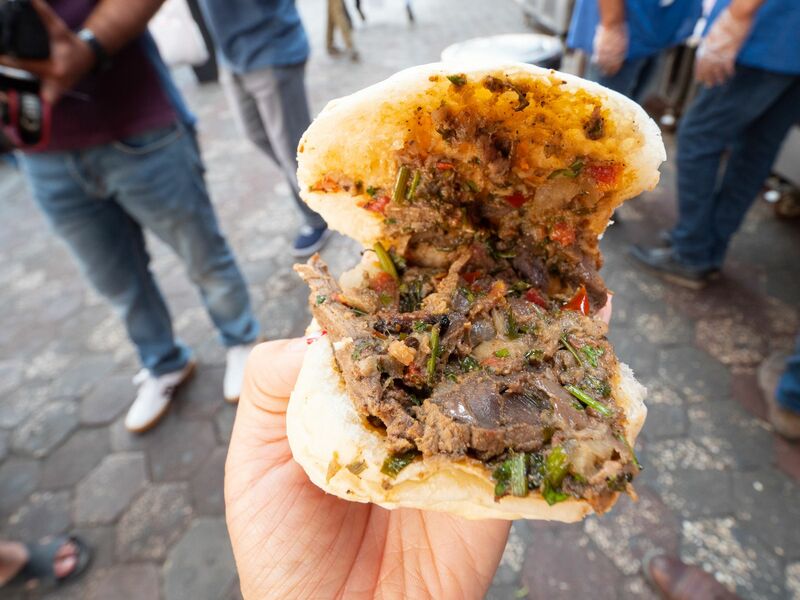 When you take your first bite, you’ll bask in the joy of the beef fat and the spices all perfectly fusing together to satiate your senses. You can order 3 or 4 of these and they will fill you up and keep you full of energy for the day! Must Order: Shawarma buns and mango juice, perfect combo! 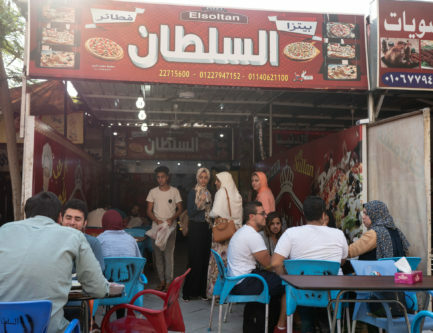 I was so excited walking in to El Sultan, one of Cairo’s hidden gem pizza and pie shops, to discover the buzz around Egyptian pie. Here, the dough is spun super thin into large sheets and stuffed with your selection of fillings. If it’s your first time like it was mine, you’ll have no idea what to order, so you can consult the staff or your friends if they are local. Luckily, my friend Mohamed suggested going for the mixed meat and cheese which helped a lot with the confusion. It was full of pastrami, beef, cheese, and loaded with more cheese on top! Eating 3 pieces of this will fill you up for the entire day. No joke. Be careful. It’s extremely heavy but so satisfying! Your best option is to bring a few friends so you can share and then order a dessert pie too! They have an extremely sweet chocolatey pie from heaven as well! 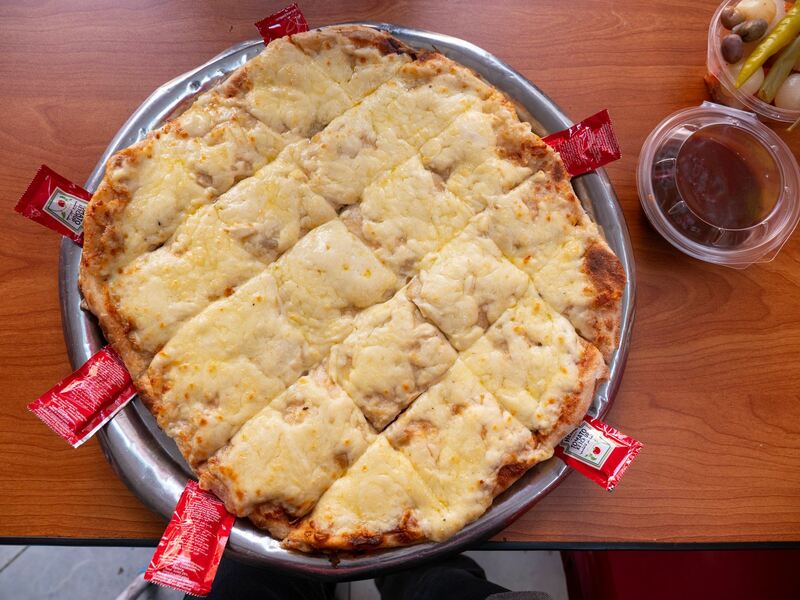 Must Order: Egyptian pie cheese mix and if you can still eat after choose their thick "chocolate mix" pie. Comments: Located in Nasr city, slightly outside of downtown Cairo. Price: 30 EGP and up. This place is super cheap. 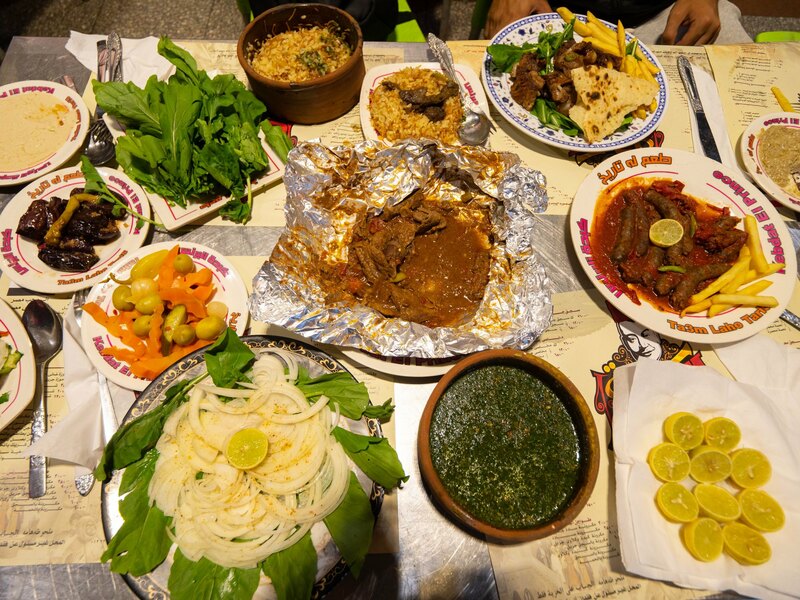 If you only eat one meal in Cairo, this should be it. You gotta see it to believe it! This place is packed! Full tables of feasting customers spread out onto the street and all the smoky grills constantly pushing out massive portions of grilled meats, sausage, and liver is proof that this place is good. Coming here to eat on any evening and it’s guaranteed to be packed. 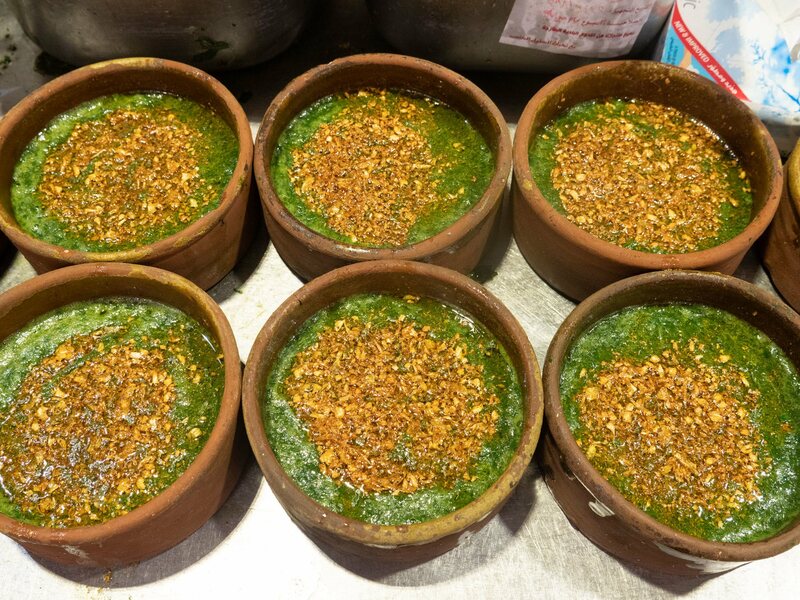 The specialty in Cairo and in particular at the prince is the Molokhia, a very dark green and almost slimy like soup made from jute mallow leaves AKA Corchorus Olitorius. It is very surprisingly gooey and slimy, almost mucous like, which for some may be hard to accept, but for me I really enjoyed it. It’s seasoned well and quite garlicky at the same time. The best part of the whole experience was the huge selection of delicious traditional Egyptian street food you can enjoy in one setting. They serve sausage, fried liver, oxtail, molokhia, salads, rice, bread, and fried meat sandwiches. Must Order: Order the molokhia, and then go up to each individual grill and see what looks good and order it! Although not a food, I had to include this must do activity in Cairo to the list. 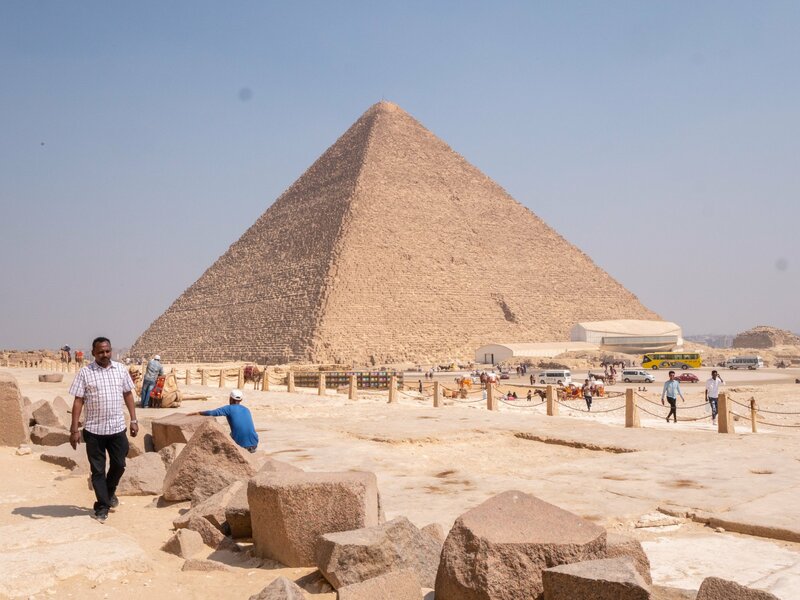 Although I placed food at the top, visiting the pyramids in Egypt is a must do activity and something you cannot miss! For us, after we ate all of these foods in a couple days, we went to the pyramids and had a great time marvelling at the beauty of them! Wow that sounds amazing, thank you!! Hi Mohamed! Can you please send me a link. Where is the video on FB with millions of views? Do the restaurants you visit know you have 2.1M subscribers before filming? 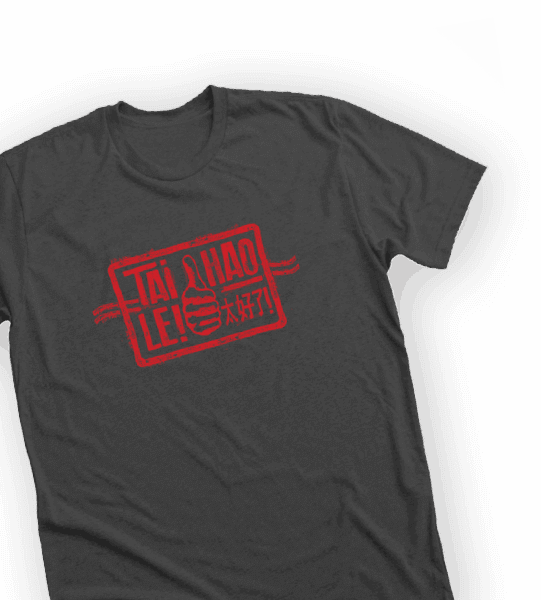 Also, I’ve been a fan of the show since you had 30k subscribers! Hi Isaac! Yeah we usually show them beforehand 🙂 Thank you so much for being a long term subscriber! !